IDW Games & Pandasaurus Expand Relationship. Bring Out of Print Games Back. This partnership includes bringing Pandasaurus’ vault of popular games into print, many of which are sold out. 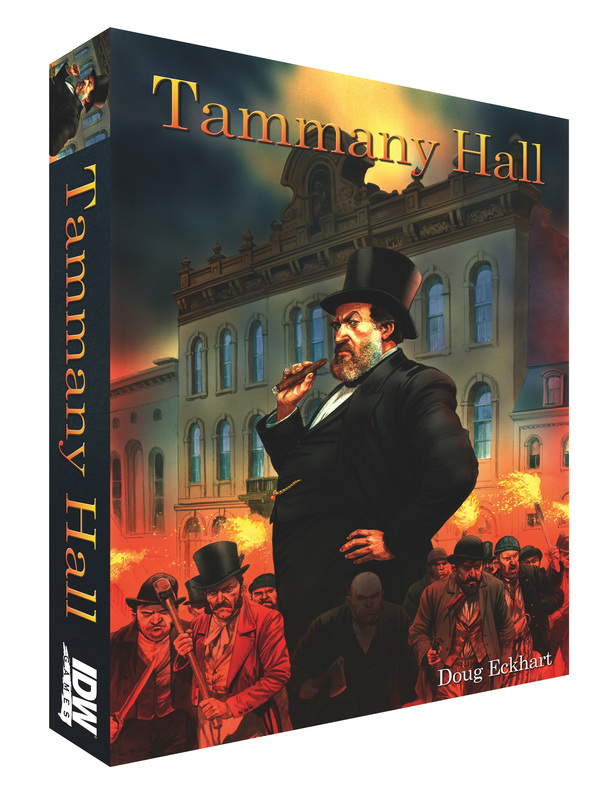 The first title in this partnership is Tammany Hall, launching in June, in which the players “take power, rule New York.” Other titles to follow are Rattus Cartus, the sold-out hit that pits players against each other and the Black Plague, and Yedo, Pandasaurus’ first game, which is a samurai-themed worker placement game from the designers of the upcoming Kill Shakespeare game, Wolf Plancke and Thomas Vande Ginste. It also means that moving forward, IDW Games and Pandasaurus will be co-developing engaging board games that will excite existing fans of the genre and surely make new ones. Kickstarter Spotlight: IDW's Kill Shakespeare…. the Game! Today, IDW Games in cooperation with Pandasaurus Games launched a Kickstarter campaign for their first joint venture, Kill Shakespeare. The campaign’s goal is $25,000, and there will be a series of stretch goals in place that will make incremental improvements to the game for each milestone hit. With an amazing creative team in place and two world-class artists delivering the box and game art, this campaign is poised to be a huge success! 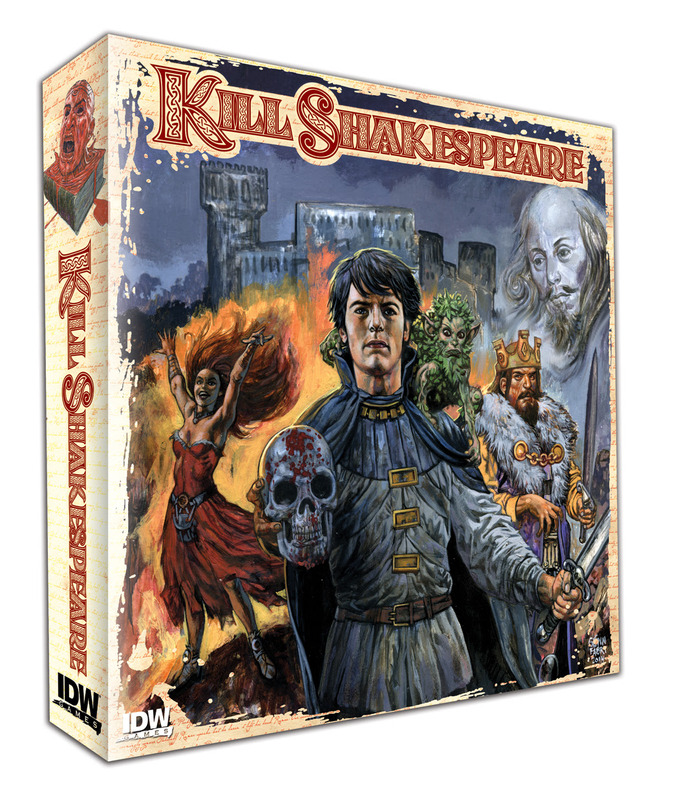 The first 250 people to back the Kill Shakespeare campaign will secure copies of the game at the deepest discount available. No matter when fans pledge during the campaign, the game will be offered $10 under suggested retail price, with free or discounted shipping around the globe! Why I Like It: I’ve loved the Kill Shakespeare comics, so to be able to play a game in that world is more than fine with me. Here’s hoping we get even more… can you say RPG? Best Pledge: $40 gets you a copy of the game at a deep discount for the first 250 people. I pledged at this amount and kicked in some extra money for the dice game too. Risk: LOW – The artwork for the game is complete and the only things left to do are the Kickstarter specific items. Add that on top of the fact that an established company like IDW is behind it, and I’m not too worried. I think at most the issue might be delays in the ship date due to production issues.